Fantasy nightly landscape on the riverside. Medieval castle in the land. Fantasy landscape on the riverside. 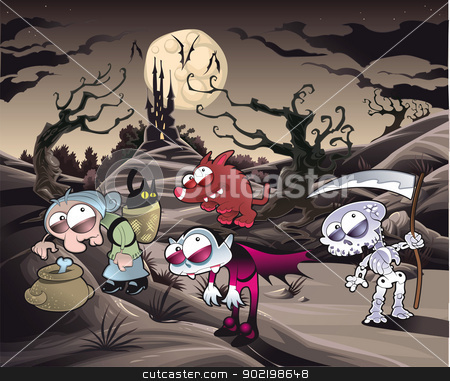 Vector of Horror landscape with characters. Horror landscape with characters. Cartoon and vector illustration.